Are you sure it is ceramic and not a lightweight volcanic stone? 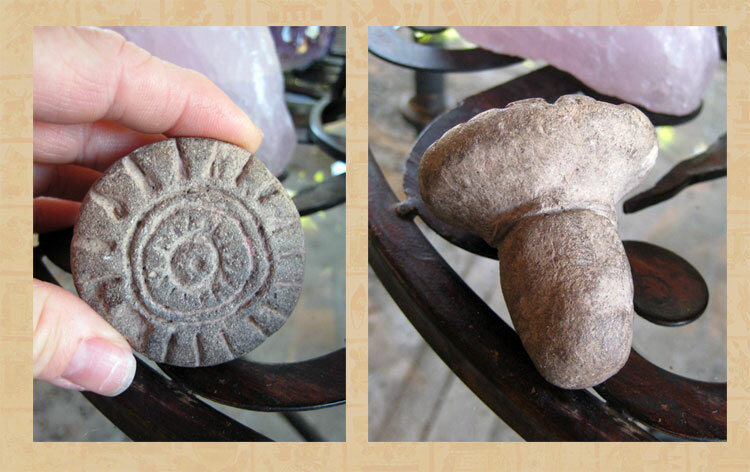 It looks very much like a small example of one of the many Mesoamerican mushroom stones. The shape is very distinctive. Way too much effort+time to make something like that just to be used as a stamp when a carved wooden stamp could be carved much more quickly + easily... IMO it is clearly something of ritual/ceremonial significance, surely a mushroom stone. If you change your mind about selling it please email me. From what you written I can say that it’s real, but it’s not “Aztec” since the Nahuas didn’t live in that region.